Air Lift's SlamAir is a helper air spring system that provides an adjustable spring rate for ride comfort, as well as up to 1,800 pounds of extra load leveling capacity. 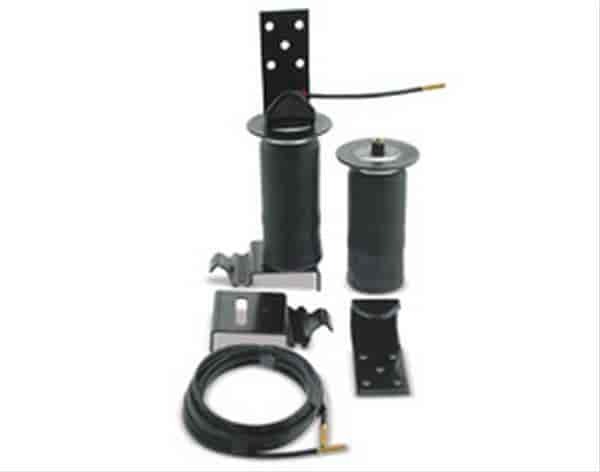 These SlamAir systems mount outside of the frame rail and fit most lowered trucks, including those with flipped axles or notched frames. Minimum clearances of 7.5'' between bed floor and top of spring and 5'' between tire sidewall are required. Even fits flipped axle applications! Does Air Lift 59102 fit your vehicle?